Think about how cool it must be to be Magic Johnson. The guy is a legend in Los Angeles and across the NBA, the one who cleared the path for lanky guards to dazzle and dunk. You figure Magic could do anything he wants to do in life, be supported in those efforts and find happiness. Instead, Johnson decided he wanted to be the president of basketball operations for the Los Angeles Lakers. He wanted rebuild the franchise he helped make famous with his handshake, his smile, his experience and business acumen. 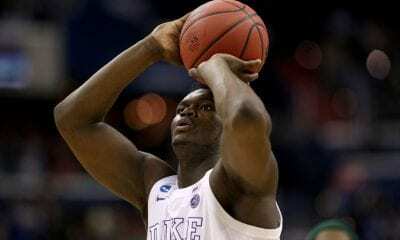 He wanted to be a mover and shaker, kind of like his buddy Michael Jordan is in Charlotte. Moral to the story: You can’t always get what you want. Despite the addition of LeBron James this season, the Lakers fell like a brick in a lake and did not make the playoffs. It was a season of injuries, second-guessing and dissent. And the stench only worsened after James hurt his groin on Christmas Day when the Lakers were 20-14. The lost 11 of the next 17 and were on crutches the remainder of the season. So on Tuesday, Johnson raised the flag, but not the one he planned. This was a flag of surrender. He announced he would step down after just two years on the job. “It’s a difficult decision. 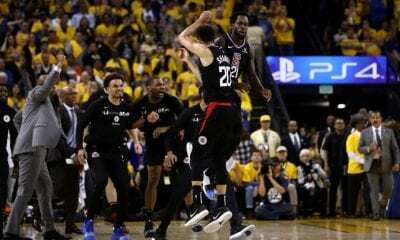 I cried before I came here,” Johnson said before the Lakers lost their regular-season finale against the Portland Trail Blazers. “I am about to cry now. It’s hard when you love an organization the way I love this organization. It’s hard when you love a person like I love Jeanie Buss [the team owner]. I don’t want to disappoint her. For most of the season, the debate raged over whose team this was. Did it belong to Johnson or James. Who was making the decisions. Who would make them into the future. 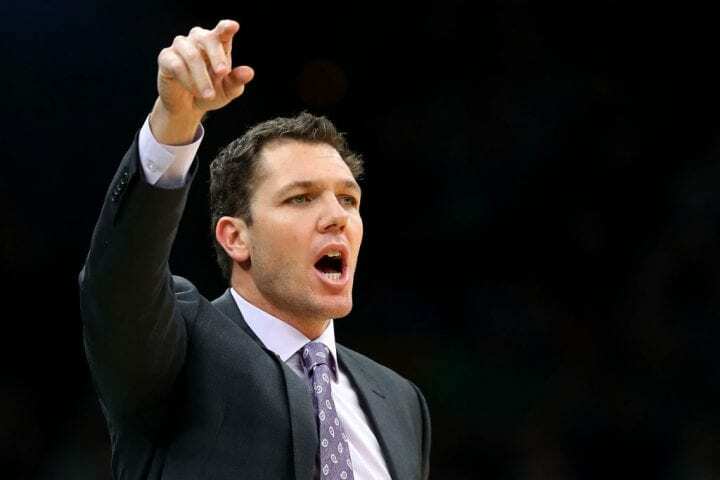 And if coach Luke Walton was to be fired, who would sign the order. 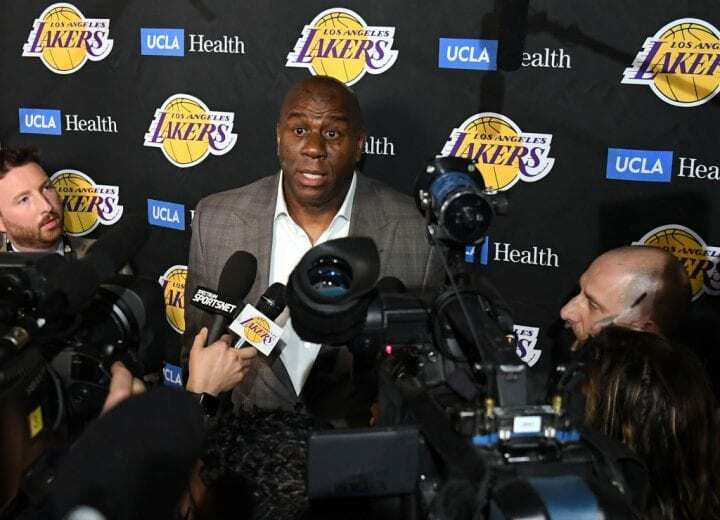 In his address on Tuesday, Johnson said he didn’t want Walton’s status interfering with his relationship with Buss. She’s a big Walton supporter. ”I want to always preserve our relationship with her and I think I had more fun when I was able to be the big brother and ambassador,” Johnson said. However, when the team started the season by losing five of seven, it was Johnson yelling in Walton’s ear. And that hatched the notion Walton would eventually be out. So, it turns out Johnson wanted the title, just not the responsibility. 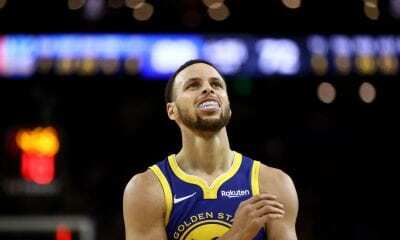 ESPN reported the franchise was caught totally off-guard by Johnson’s decision and referred to its state as paralyzed. This is not good news. Nor was just the two-game improvement over last season. The Lakers were 37-45, unheard of during James’ career. He couldn’t help the team. But did he end up hurting it as it missed the playoffs for the sixth straight season? When asked if he was thinking about firing Walton, Johnson admitted he was preparing to make that decision. Of all the moves Johnson made, the most significant was signing James. Johnson figured The King would do what he always did – pick an organization up and take it to a championship. That did not happen. Johnson complained his position essentially hamstrung him by forbidding him from making comments about players he admired. The Lakers have paid over $500,000 in league fines for supposedly dolling up to Paul George and Giannis Antetokounmpo.